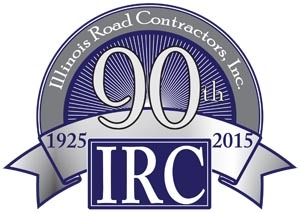 Originating in 1925, Illinois Road Contractors, Inc., a Delaware corporation, operates as a diversified company, which has evolved from road maintenance and application of liquid asphalt into many diversified subsidiaries and affiliates. The Company operates liquid asphalt storage and handling plants in Meredosia (started in 1970) and North Utica, Illinois (started in 1980). The Asphalt Stone operation was acquired in 1986. In January, 1991 the Company acquired State Materials Service, Inc., (SMS). SMS is a trucking firm, which operates as an interstate contract and common carrier. SMS principally transports asphalt, rock, salt, and construction equipment. In 2003, Equipment Associates was added to transport Aqua Ammonia and the hauling of petroleum products. In 2004, Tarps Manufacturing, a tarpaulin manufacturing company, was added to the group.